We’re excited to announce that our iOS mobile app for iPhones, iPads, etc. is now live on the App store. 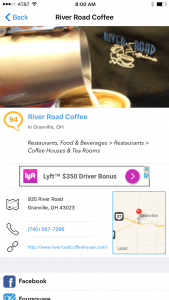 You can use it anytime to quickly find local businesses around you from the convenience of your mobile device. It takes just a couple of taps to find the best restaurants, hotels, florists, hair salons, plumbers and more… both around you and in any city in the U.S. As always, the ZapScore of each business is displayed to help you sort through the options. We are releasing new features to the app, so be sure to update it regularly. Don’t fret. Zappenin’s app for Android is coming soon as well! So you want to increase your ZapScore and start taking advantage of the top social networks to promote your business & connect with both new and existing customers. Here are a set of links and helpful tips for getting your business established on each of the 11 networks Zappenin monitors. Remember: after setting up each of these, be sure to add them to the Zappenin listing for your business. This will very quickly increase your ZapScore and help you gain visibility in front of new customers! If you haven’t yet claimed your business, get started here. One of the best ways to ensure your business receives maximum visibility on Zappenin is by “claiming” your business listing. By claiming, you can add to & edit the information displayed about your business. Best of all, it is totally free. 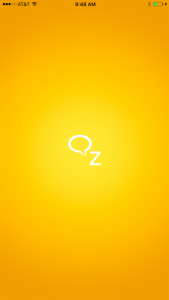 Create an account on Zappenin. Simply complete and submit this very short form. Then be sure to check your email for a link to confirm your email address is valid. 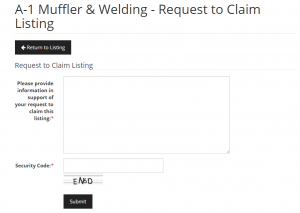 Once your account is set up, either claim an existing listing (if your business is already listed on Zappenin) or add a new listing if it is not. After we receive and approve your request, your listing will appear in your My Account section where you can add to & edit it. 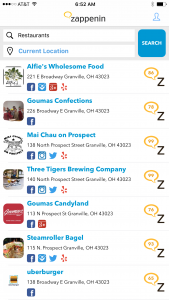 If your business is not listed on Zappenin, then go to the “Add A Business” link located in the top menu bar. There you will be able to categorize, add important information about and submit your business. Be sure your business name, address, phone and (if available) website are accurate. These are the staples of a great listing. Add a logo or other image. Your logo not only makes your listing look great for customers, but it is also used to display your listing in the search and browse. Listings with logos look far more appealing. Add both a short and long description. Use these to tell potential customers what products & services you provide and why they should choose you over competitors. Short descriptions are used in Zappenin’s search, browse and other locations around the website. The long description is displayed on your business’s listing page. Both are very important. Note: pay close attention to spelling and grammar when writing your descriptions. These types of errors lower your credibility with customers. Add your social network accounts and pages. This, above all things, is most critical on Zappenin. Our algorithms use your social network activity to calculate a ZapScore. Simply put: if we don’t know about your Facebook page, Pinterest account, Instagram account, etc., then you will not rank as well when potential customers look for you on Zappenin. So make sure you tell us! Lastly, don’t be afraid to start. Some business owners feel they need to block off an extended period of time to fully complete their listing. Wrong! You can edit & update your listing any time you want via your My Account page. Meanwhile, potential customers are using Zappenin 24 hours a day, 7 days a week. So the worst choice is doing nothing at all. Even if it’s not perfect, you can always change it later. It is free to list your business on Zappenin. To suggest a business for inclusion in our Social Yellow Pages directory, click here. Not all businesses that are suggested are actually included, though. Zappenin looks for evidence of social activity (participation on social networks like Facebook, Twitter, etc.) as a requirement for being included. If your business is included, we humbly ask that you consider linking to your Zappenin business listing from your website and/or other online locations. Links help Zappenin to grow overall & that attracts more new customers for your business. 1. Copy and embed the following HTML code to a webpage, or webpages, of your site. If you need assistance, consult with your webmaster. Note: the two sections surrounded by asterisks (***) need to be modified for your business listing. Whichever way you choose to link to Zappenin, we appreciate it!